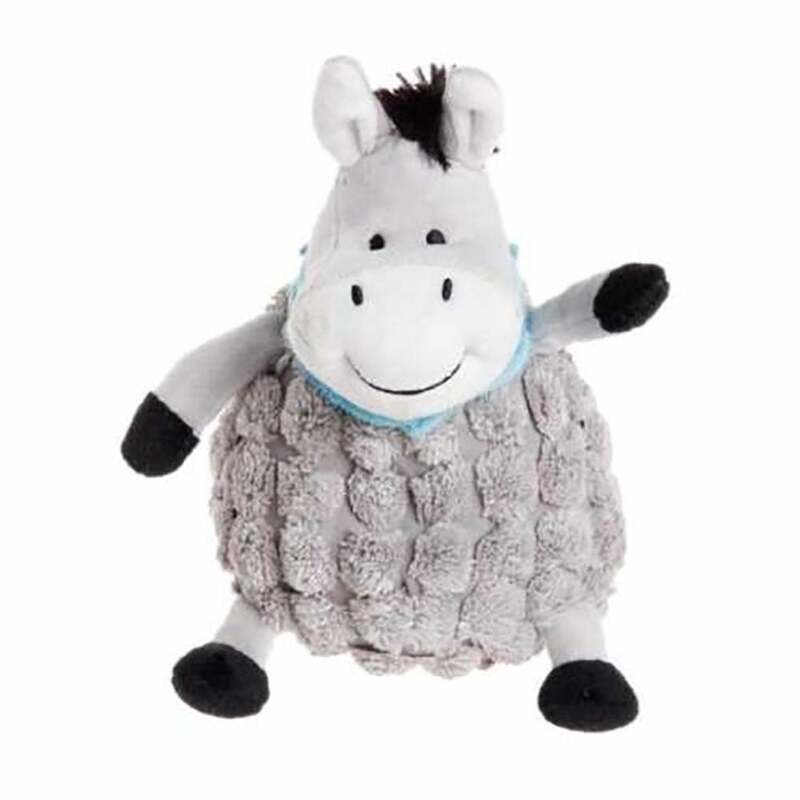 The Petface Farmyard Buddies Dumpy Donkey is a lovely plush dog toy with a textured main body and a smooth face and limbs. This dog toy features a faux fur main and tip of tail with a squeaker in the main body. At approximately 7.5 inches tall and 13.5 inches around the widest part of the main body this toy is most suitable for medium to large breeds to play with.